HOT MIX PAVING, EARTHWORK, STRUCTURE REPLACEMENT AND WIDENING, DRAINAGE AND ELECTRICAL. 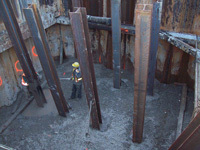 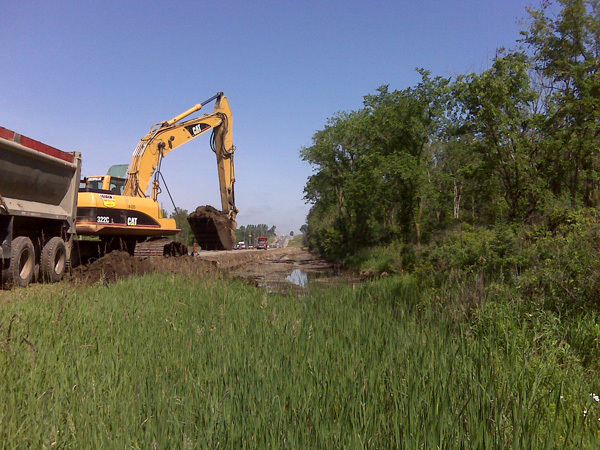 This contract showcased GBC’s diversity by self performing all the grading, supply and placement of granular, installation of underground, supply and placement of asphalt, pile driving, deep augering, sheet pile shoring, in-water work, bridge demolition, bridge construction, culvert construction. 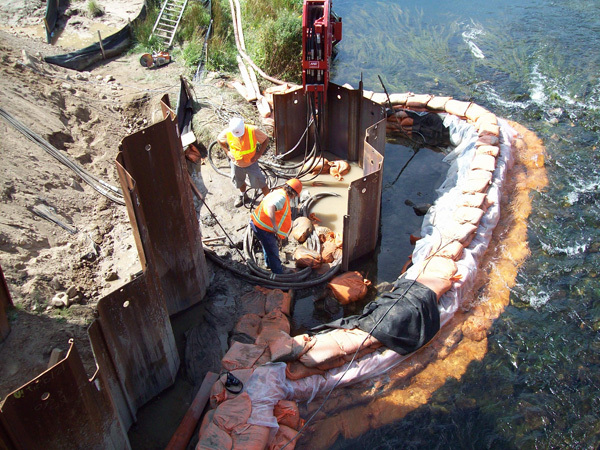 Working within the river and demolition of a bridge structure over the river required a very high level of environmental awareness and experience. GBC remains involved in the design of all the environmental protection systems and self performs the installations. 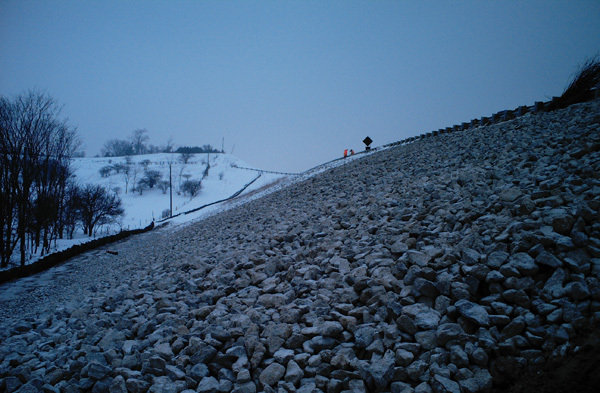 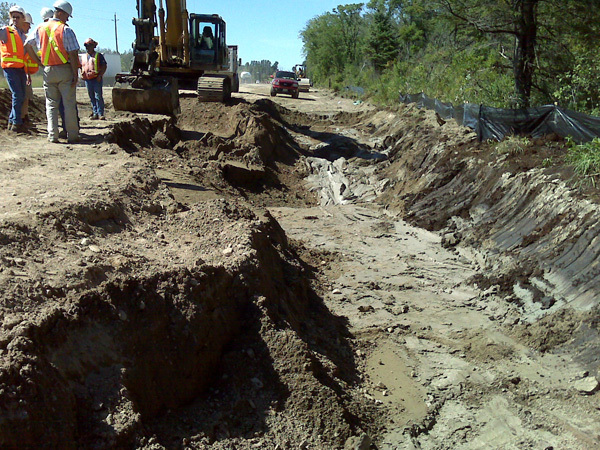 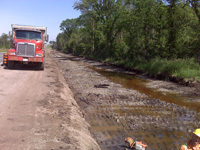 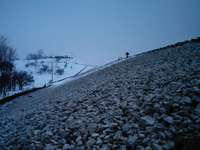 Environmentally sensitive work also includes extensive slope stabilization using crushed rock and swamp excavation. 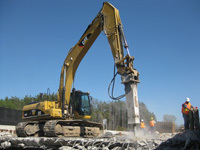 In order to have greater control of the schedule, GBC invests in a variety of equipment so that the majority of the work can be performed utilizing their own forces.